Airline safety ratings are an important factor for any traveler to consider when planning a trip. While flying is widely recognized as the safest way to travel, that doesn't mean that it's a completely secure mode of transportation. Different airlines have better or worse safety ratings than others, and the safety-conscious traveler should have access to this type of information. Considering the safety ratings of a few different airlines could be more than enough for some travelers to choose one over the other. The following list of airlines has been noted as the five safest in the world by the Jet Airline Crash Data Evaluation Center. More specifically, the data is taken from their JACDEC 2012 Safety Ranking datasheet that clearly lists the airlines with the least amount of accidents in the 30 year study period. The JACDEC is a trusted resource in airliner crash data and its statistics are used by travel industry leaders like Travel and Leisure magazine. The data is compiled by looking at factors like fatalities, accidents and general safety malfunctions such as failing components that may not lead to significant safety issues. Finnair is an airliner from Finland that serves airports around the globe. The company has earned itself this top spot after having lost no planes and experiencing zero fatalities on any of its flights over a 30 year period. Thanks to its stringent safety policies and world-class training procedures, Air New Zealand is recognized as the second safest airline in the world. Throughout the 30 year period of the study, no Air New Zealand flights were lost and the company had zero fatalities on any of its flights. The company's safety officer David Morgan says their intense focus on safety is a huge part of why the company enjoys such a great safety ranking. This is an excellent testament to how past performance is not indicative of future safety potential. In 1979, nearly 300 people were killed on an Air New Zealand flight that crashed into Antarctica. Cathay Pacific is the third safest airline in the world. They are considered to have some of the highest cabin safety standards of any airline and they also have some of the youngest planes of any airline working today. Cathay Pacific is one of the few airlines to get top scores in both safety and service on major airline reviews sites. Emirates is one of those few airlines, along with Cathay Pacific Airlines, which has been given top scores in both cabin safety and service. The airline is known for its commitment to safety and for its very low record of severe or notable accidents. Etihad Airways is an airline company based in Abu Dhabi, and it flies all around the world. Many regional companies rent out Etihad Airways planes for their own use, and the safety record for these relatively new planes is notably excellent. Etihad is not only one of the safest airlines in the world, it is also one of the most highly rated airlines in the world as well. It regularly scores very high marks on independent flight review sites like Skytrax, where it enjoys a 4-star safety and service rating. When looking through airline safety ratings, it's important to understand what the information you're reading actually means. Reading it in context can make a huge difference in how you interpret what you're reading. Safety ratings and statistics show past incidents, though that may not indicate a likelihood for future similar incidents taking place. Most airline accidents are a matter of pilot error and not a result of poor safety or maintenance performance on the part of the company involved. Airlines operating within North America and Western Europe are required to adhere to a significantly higher standard of safety than air carriers from less-developed parts of the world. According to Regulation 49 CFR 830.2, an accident is an event occurring between the time an individual boards the plane with the intention of taking a journey and to the when all people on board have successfully disembarked. 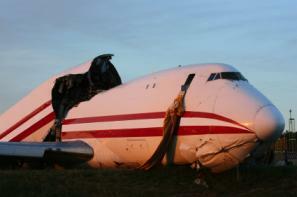 The event must result in one or more fatalities or serious injuries, or the plane itself must incur substantial damage. it's worth noting that not all ratings organizations will come to the same top five contenders when it comes to safety ratings. Methodologies vary from organization to organization, and this means that it's virtually impossible to find an across-the-board "#1" airline in terms of safety. For example, Travel and Leisure magazine released a list of the safest airlines that is based on information provided by the same organization the above airlines were taken from. However, the Travel and Leisure article averages in data from another study conducted by the Air Transport Rating Agency, and has therefore come away with an entirely different list than is presented here. The important thing to take away from this is that you need to be thoughtful when seeking out information on airline safety and you need to understand that rankings you see on a popular site or a professional analysis can be driven by different variables. In the end, you are still safer on the most dangerous airline in the world than you are driving down the highway on any given day. Statistically speaking, airline crashes are very rare and are definitely the exception to the rule. Whether you fly with these top safety contenders or through a lesser-known regional carrier, the truth is that you have a very low likelihood of encountering any real danger. While this is true, it's still important to understand exactly how airlines are ranked and hold poor performers to the light in the hope that they may change their practices.